We have 1-2 openings on our 28500ac.ranch near Acuna It is part of the 130k Seco Ranch. Hunting has been tough for last two years. Mexico is unlike anywhere else but it’s still hunting for most of us. Slowdown in oilfield has some guys staying home as well. Not on the production side yet. Spend all the money on them pipe Pushers right now. Hopefully it makes full circle for everyone soon. Thanks for the bump Shane the spots have been filled. The guys I know that have left Mexico recently are some first timers that go down expecting a 170”+ to walk out the first 5 minutes. Then soon realize it’s still hunting and just as hard and get frustrated. Like stated Mexico is like no other place, but it’s also no gaurantee! I’ve had this convo i know with bo it’s especially hard to get it done with a bow and many years tags get ate. I wouldn’t trade it but many guys go into it thinking it’s a done deal they’re gonna kill a monster every sit when that’s just not realistic. You bet brother, good to hear! You young guys that are hunting Mexico for the first time better soak it up. You are enjoying the last truly great frontier for REAL whitetail hunting. Years from now you will be saying, "I hunted Mexico back when it was true wild hunting". Not many places like that left in North America. No tagged deer and no genetic freaks waiting for their morning feed truck. When I can no longer hunt Mexico, I will just hang it up as there is nothing like it and most likely never will be. I had a dear friend who hunted Mexico back in the late 50's and 60's. He killed 4 or 5 bucks that were true monsters, big typicals and non typicals. Deer didn't know what corn was and he would camp out on a fence crossing and might go 3 or 4 days and see one buck and only a handful of does. Deer were just beginning to spread into some of the prime ground and those deer were huge. The screwworms were also keeping the deer pop down. Things have sure changed but I still love it. For anyone that’s used a motograder out in old Mexico, how many miles do you think a motograder would do on ranch roads out there in the rockier country in say an 8 hour day? Yep nothing like Ol Mexico!! Yep I hunted there for 7 years on the same ranch.. My last year to hunt south of the border was 11 years ago... I sure do miss it and want to hunt it again BAD but the constant feeding/work programs that these operations are requiring these days is just more than I have time for.. Man we never fed anything but corn and we didn't start that until season began and there were some BIG(for those days)wild deer killed for(180's) and some BIGGER deer seen, that weren't ever killed, during that time period.. The part that fascinated me the most about hunting over there was that those monster bucks where naturally occurring.. The big ranches plus low hunting pressure combined with the protein content that is naturally occurring in the browse over there is the perfect recipe..
You wont Find a personal on this Thread that Don't Wish Those Days Still Existed. The Truth is Overhunting on Bucks, High Doe Numbers, and Ranches Being Divided Took its Toll on Mexico. Are There Still big Deer Out There With Out Management Yes But, After Hunting 20yrs and not being one of the Lucky Few I Choose to Better My Odds by Giving Back instead of Just Taking What Little is Left and Saying "Boy I Remember Back when it was Worth Crossing that Dam River"
I hear you... That's a great attitude.. If I had the time to dedicate to a place I would definitely be on the hunt for a spot over there. There is no place like it on the planet.. As commercialized as in maybe these days it is still the wild, wild west compared to this side of the river..
A couple of things that I really miss are the way that the bucks responded to horns and the numbers of bobcats I would see.. We had ALOT of cats for some reason.. Fun to watch..
There’s still plenty of leases in Mexico that you can just feed corn on. Unlike you though I enjoy the year around management thing. But each to his own. I don't hear about these.. The guys I personally know go all out.. I mean all out!!!!!!!!!! I have nothing against that all but the Mystique of hunting raw Old Mexico country starts mirroring what ruined the mystique of deep south Texas for me.. Hopefully it doesn't follow that path.. I'm sure there are a few out there though. There’s actually a lot of ranches in Mexico that don’t require you to have a feed program. LOL. 1 per a thousand ain't bad though.. A man would have to rob several banks to pull that off in the "Golden Triangle" of S.T. My last 4 ranches i have been on we’re just corn 4-6 months out of the year including the one i took over this year. I’ve hunted down south for 10+ years and haven’t been on a protein fed ranch. It’s what you make it and want from your ranch. Yea I always say if there is 1 170"-180" "wild buck" per 5,000 acres that's really good.. Now killing him is a different story..
Crazy i have to remind myself all the time 140” is the deer of a lifetime for so many! I’ve gotta remind myself from time to time I’m blessed to have the opportunity to chase an pass so many deer that 10 years ago i would never would’ve believed you had you told me I’d pass the deer I’ve had the chance to. It’s a bittersweet process to change hunting “styles” but i love to beat my personal best at whatever i do. I go to Mexico for the adventure, we only run corn feeders for about 3-4 months and road feed, we have a lot of fun, last year I went hunting for arrow heads for the first time, we picked up a boat load of them in just a couple of days, that made my trip. We have not killed any giants, 160 to 170 is tops for us, usually get one or two of those a year. Our landowner is awesome, he stays with us, cooks, cleans deer, and can fix anything, we have become good friends with him and his family. Yep.. To me a 140"-150" 6-7 year buck is still a trophy but of coarse a 170" is much better.. I can’t wait to experience it. It may not be what it was 25 years ago, but I imagine it is still significantly different than anything north of the border, and if a big buck is a byproduct of hunting down there, I am all for it. 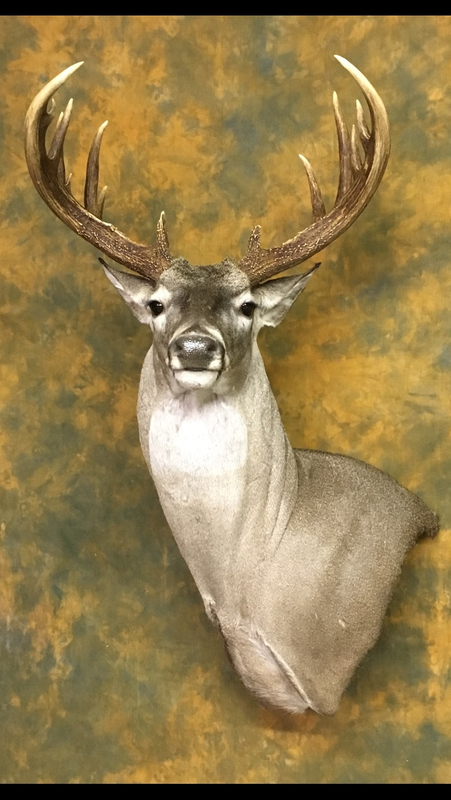 I have hunted Canada, and all over Texas for 25 years and still haven’t broken 145”, so any 7+ year old buck in the 150’s will tickle me pink, and if I happen into a 180” buck, heck yea! Last edited by texas shag; 03-18-2018 at 08:00 PM. I first hunted Mexico in 1982 best I remember. Huge ranch. Outfitter didn't know anything about hunting. Didn't see a deer...not one...all week. The following year I hunted a different ranch. The outdoor writer John Wooters was in camp and I thought I had won the lottery. Got so cold my water bottle froze inside my pack by my bed. Didn't see a buck to shoot. The following year I started hunting a 250,000 acre ranch. Wonderful accommodations but once again the outfitter was clueless as to how to hunt the ranch. Was several years hunting this ranch and learning to self guide before I got my first Mexican buck...a 150" 8 pt. All that nostalgia is fine and well. I now feed protein year round and the hunting is simply phenomenal. I do not long for the 'old days'. I also scarcely run any cameras at all so when we show up for the season its bone chilling excitement to see what will pop out of the brush.And all the elements that make hunting Mexico such a joy are still present...the culture and people, the vastness, the the incredible wildlife, the remoteness and on and on. Just a bit more comfortable now. I'm ok with that. Ive tried to explain to a few hunting friends about how many arrow heads there are over there and by their looks on their faces I can't tell they think I'm BS'ing them.. I filled a BIG coffee can completely full in 2.5-3 hours one day while on a big flat on high bluff overlooking the river.. Most where busted. It must have been a foundry.. You couldn't hardly step without stepping on a busted piece of flint.. It gave me goose bumps walking around up there just trying to imagine what Indians, how many and how long they had used that bluff... It was wild. Man those days are gone..... I remember getting on my first ranch in Mexico because if the quail. We drove about 5 miles and busted 25 covey's. Diesel trucks are now allowed to get permits as long as they are not modified. No flatbeds only 3/4 and 1 ton trucks either duallies or single tire as long as they have regular beds and interiors. We are bringing our east Texas crew to old Mexico, but it’s not with the expectation to kill a monster, but the comradery and wide open country to enjoy the remote thrill of the hunt. If we kill a 145”+ that’s just a bonus. Sometimes people get too wrapped up in the inches and forget about the journey. Yeah Tamaulipas is jacked up like Texas. Nuevo Leon has too many Aduanas. Coahuila is where its at nobody tryin to control me ! Looks like we’re forecasted for rain end of next week praying for two days of HEAVY rain! My friends buck from this season. This deer just appeared in January. 179 4/8. Low fence, no protein. Close to Villa Union. Last edited by dc1986; 03-20-2018 at 09:50 AM. Great bucks. Congrats to all. Super deer. I like the mount as well. My friends buck from this season. This deer just appeared in January. 179 4/8. Low fence, no protein. great looking buck! congrats to your friend!